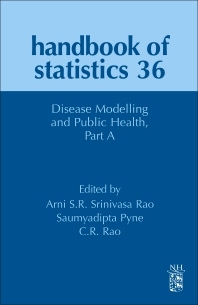 Disease Modelling and Public Health, Part A, Volume 36 addresses new challenges in existing and emerging diseases with a variety of comprehensive chapters that cover Infectious Disease Modeling, Bayesian Disease Mapping for Public Health, Real time estimation of the case fatality ratio and risk factor of death, Alternative Sampling Designs for Time-To-Event Data with Applications to Biomarker Discovery in Alzheimer's Disease, Dynamic risk prediction for cardiovascular disease: An illustration using the ARIC Study, Theoretical advances in type 2 diabetes, Finite Mixture Models in Biostatistics, and Models of Individual and Collective Behavior for Public Health Epidemiology. As a two part volume, the series covers an extensive range of techniques in the field. It present a vital resource for statisticians who need to access a number of different methods for assessing epidemic spread in population, or in formulating public health policy.